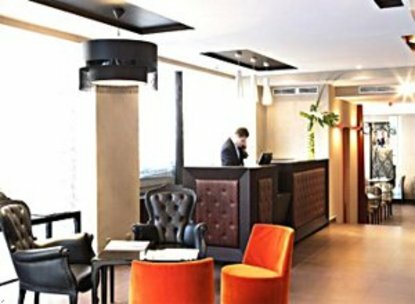 The Best Western Premier Hotel Elysees Bassano is located in the center of Paris, on a peaceful street on the District 16, at a few minutes walk of the world famous Avenue des Champs Elysees and Arc de Triomphe Place. Graced with a fine address, this is also a hotel of great charm and elegance, where everything has been designed to reconcile work and leisure. Entirely renovated in 2006, the 40 air-conditioned, very comfortable rooms are each equipped with a mini-bar, cable television, direct telephone, Internet WIFI and a private bathroom. The light-filled breakfast room adorned with large canvases from contemporary artists is a veritable haven of relaxation, where a sumptuous buffet will ensure an excellent start to your day.